The Harvest Dinner in Willits was a huge success money raised after cost, is close to $2,000! Woohoo! Thank you, inland guild for working so hard on this wonderful, now annual event! We now have MEMBERSHIP forms! Liz will take them for distribution at the Craft Fair. Sakina would like some for indoor farmer’s winter market in Ft. Bragg. It is easier to increase membership and awareness by having the form, which is also an informational pamphlet about the guild. Come to the Herb Craft Fair to pick these up and share with your friends! 2) Up-coming Herbal Craft Fair has its vendor spaces filled, although there is extra space if called for, however extra vendors must provide their own tables. There will be 20 tables, some are shared. Liz is still getting emails from people who want to participate. People who wish to teach a class, workshop, give a demo please contact liz@sisterspinster.net now as she is trying to organize. So far Ana Victoria is giving a ‘Spice Rack Remedies’ class and Sakina and Liz or I will be doing a demo on how to grow (and spell!) ashwagandha . One of the tables will also host a seed exchange. *un-scented soap for bathrooms (Karin will provide unless there is a vendor with un-scented soap that would like to demo it this way. *Road signs for both directions to entrance of Hwy 1 and Caspar. Put up day of. *A form for vendor check-out (name, date, sales, table fee) – check-out will be after 4p at the guild table. There will also be a donation box for all who attend plus vendors who wish to donate any proceeds. *We need help with clean-up – we need to be out of the community center by 5p, so many hands make light work . . .
*MCHG table will have free tea samples by Corners of the Mouth, new and used herb, herb-craft or nature books (if you have any you would like to donate, please bring by Caspar from 9-10am that day or drop off at Corners for Karin. Karin and Liz along with any other volunteer will be taking turns managing that table where there will be small things like tea mix, for sale. *We need decorations to holidaze the place – have any fir greens, plant sprays or bouquets? Please bring! PLEASE POST FLYERS AND TELL YOUR FRIENDS TO COME TO THE CRAFT FAIR! 3) STREET MEDICINE CLINIC UPDATE– next ‘practice’ date is Tuesday Dec 18, 12:30-2ish in the house between the Presbyterian church and the church hall on Main St Mendo village. b) Menthol/Canna? chest balm that can be used both for sore joints and as a chest rub. Because of this any donations of homemade herb oils, beeswax, essential oils etc are needed. We will have to hold regular medicine-making parties (oh shucks) to make this medicine for give-away, starting in January. Please ask your contacts for donations, monetary or material. If there are any ready-made salve donations on Dec 8th, those will be used for the Dec 18th clinic. There will likely be a small medicine-making gather just before this. Those interested in being involved in the clinic – please contact me (937-2798). In general, the population we are trying to help needs: blankets, socks, poison-oak soap for the church showers. An RV has been donated by Donna d’Terra, for the Mobile Clinic. The RV is old (1984 and 24 feet long), but in excellent condition with 80,000 original miles, has never leaked and of good inside design for mobile clinic needs. There will be an ‘Open House’ for guild members to check out the RV next Thursday, the 6th of December from 1-3pm. It will be in the driveway at 134B Pine Street (on Catherine Lane behind the church) in Willits. If we are all interested, a few conditions must be met, including finding another place for it to live, changing the insurance, and also deciding for sure that we all want it before the end of the year. Donna is asking for any feedback or suggestions regarding this offer. A mobile clinic is a lot to take on, but it also has great potential to serve our whole county in the capacity of clinic and educational resource. Thanks to those who attended the meeting and shared good ideas energy! 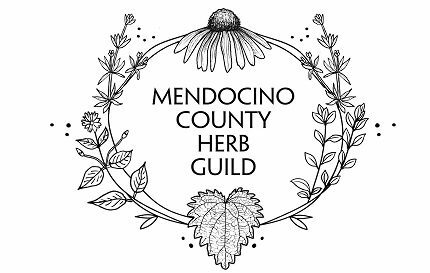 Next Coast Herb Meeting is January 27th 3-4:30p at my office, 10535 Howard St in Mendo village.